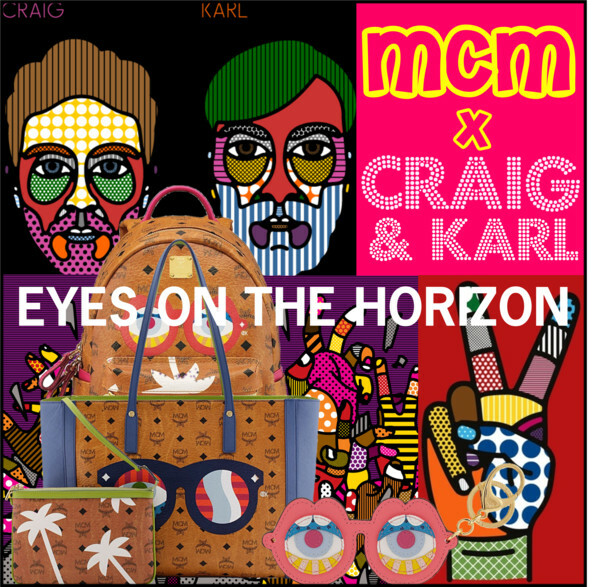 For S/S 2013, MCM makes a bold move bringing art and fashion together by launching the amazing limited edition collection ‘Eyes on the Horizon’, in collaboration with pop art whiz-duo Craig & Karl. 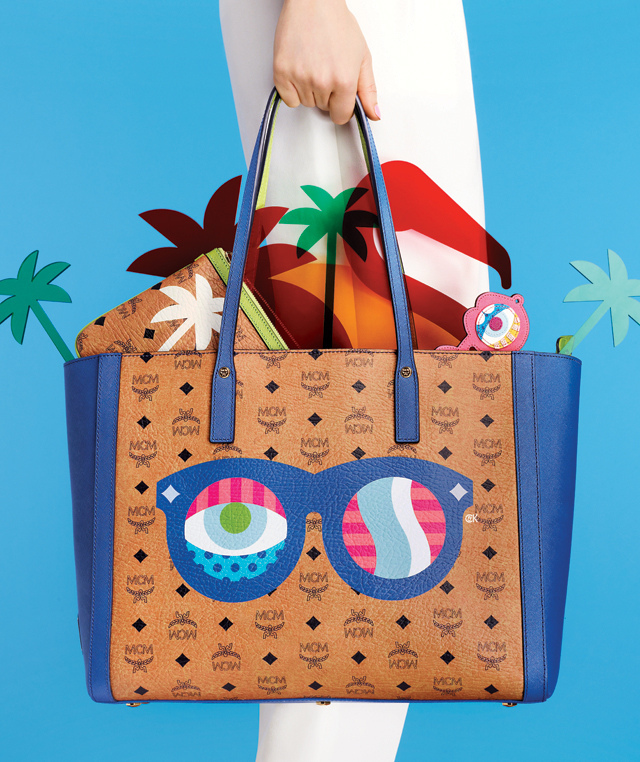 The pieces evoke a sunny optimism, recalling sun kissed vacations and the youthful excitement of endless summers. The artwork is focused on playful eyes peering out through pairs of sunglasses while taking on amusing and abstracted forms to add a sense of fun and modernity to the fashionable musts. I truly adore their humorous twist. A special project regarding this beautiful collection that I will participate in will be revealed soon. TO SHOP THE LIMITED COLLECTION ‘EYES ON THE HORIZON’, CLICK HERE PLEASE.